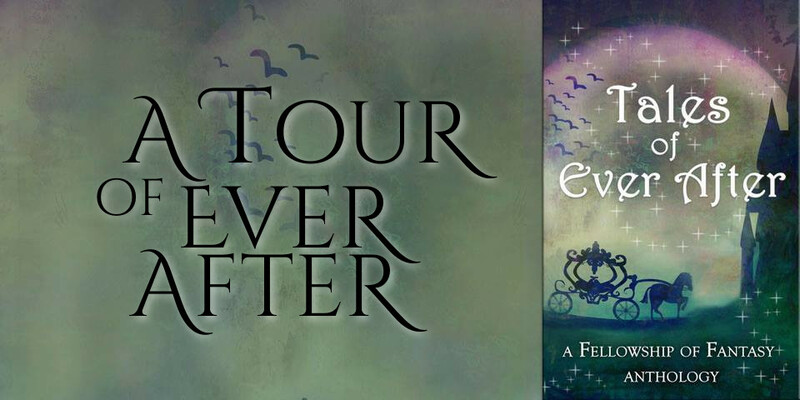 Hello, and welcome back to the blog tour for the Tales of Ever After release! I have some exciting news to start off with: the ebook is now free to download on Amazon and other retailers! 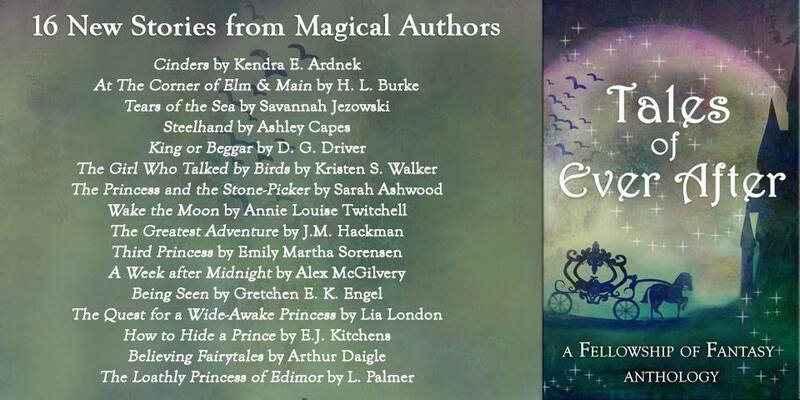 If you’re intrigued by any of the sixteen different fairy tales in this collection, this is a great chance to grab the whole set. Also, there’s still time to enter the giveaways, which you can find at the end of this post. If you’re on Facebook, there’s a launch party with even more giveaways you can join tomorrow evening, 8-10 pm EST. 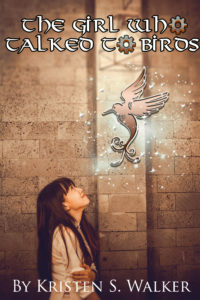 I had a lot of different ideas for this fairy tale anthology that I went through before I finally settled on this story. I knew that I wanted to feature one of the secondary characters from my Divine Warriors series, since I released Riwenne and the Mechanical Beasts a few months ago and I’m currently working on the sequel. Since the series is told from Riwenne’s perspective, I realized that Kyra is the girl that we know the least about, because she’s aloof and doesn’t easily share what she’s feeling. When Riwenne first meets her in the temple, she thinks that Kyra is a snob who looks down on her. I wanted to share something from Kyra’s past to show how she became so isolated and why it’s hard for her to open up. That’s when I decided to write an original fairy tale of my own and explore how Kyra discovered her magical abilities in the first place. Since she’s been blessed with her talents by Xiso, one of the animal gods of Arkia, she has the ability to talk to animals. I drew inspiration from the numerous fairy tales that involve talking animals like Puss in Boots, The Golden Bird, and The Frog Prince. It’s often a rule in these stories that animals will talk to (and help) people who are kind to them. This inspired Kyra’s story of her feeding and talking to the birds in her city because she’s lonely. I hope that you enjoy my story and the others in the collection. There’s a comment contest which is part of the blog tour which anyone can enter. Simply comment on any of the blog posts in the tour. Here’s a question to get you started: have you ever made a new friend in an unexpected way?